M SHANGHAI is a Brooklyn based folk collective, named after the Asian bistro in Williamsburg that hosted the band's monthly residency from 2002 through 2009. M Shanghai's legendary concerts are known for their unbridled joy, raucous energy and intimate subtlety, with all players crowded around one condenser mic "like the faithful taking communion, or sharks smelling blood in the water". With an adventurous take on Americana, the “M” are not easily classified; they emphasize distinctive songwriting while retaining the immediacy of classic American roots music: "timeless Americana with a rock & roll soul". Their fifth album "Bedlam" was co-produced by multiple Grammy winner Damon Whittemore and released in May 2016. The "M" continue to play the first Saturday of every month at their home base: The Jalopy Theater in Red Hook, Brooklyn. "One of the year's best…there isn't a bad song on it." "First-rate original songs… highly entertaining, like a modern day medicine show." "Thoroughly contemporary songs, resulting in absolutely timeless music." "The best acts are locals M Shanghai, which usually play monthly, proving that New York, nay, Brooklyn is as country as Tennessee." 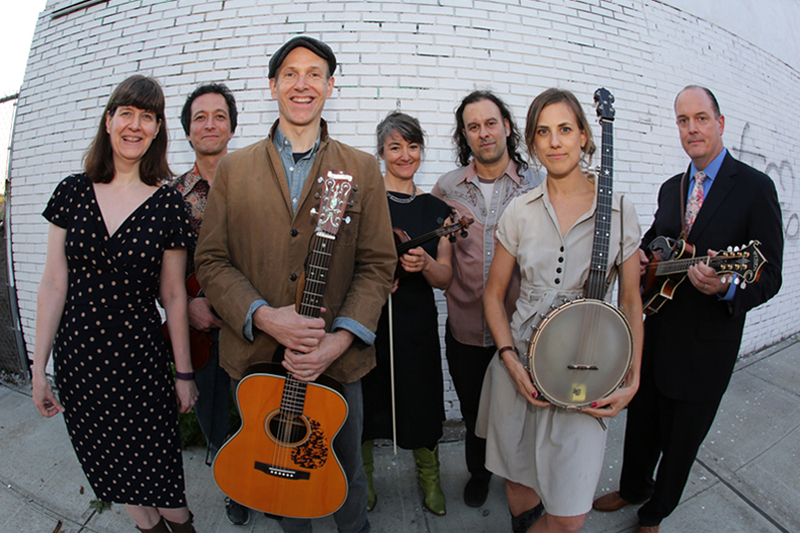 "A perfect combo of American folk and the music as it stands today... a musical performance that is enduring"
"When people think Williamsburg, they think indie rock...how many of you had ever seen a banjo before?" "Vigorous, heartfelt acoustic country with all the fixins!"